Two security personnel and a terrorist were killed in an encounter in Jammu and Kashmir’s Samboora village. SRINAGAR: Two security personnel and a terrorist were killed in an encounter in Jammu and Kashmir’s Samboora village. The slain terrorist has been identified as Badar of Jaish-e-Mohammed (JeM). The encounter broke out after the security forces received inputs about two terrorists being holed up inside a house in Pulwama. The operation was jointly conducted by the troops of 50 Rashtriya Rifles, Special Operations Group, and Central Reserve Police. A soldier has been killed, said Director General of Police S P Vaid. He, however, refused to give further details, saying the encounter was continuing. 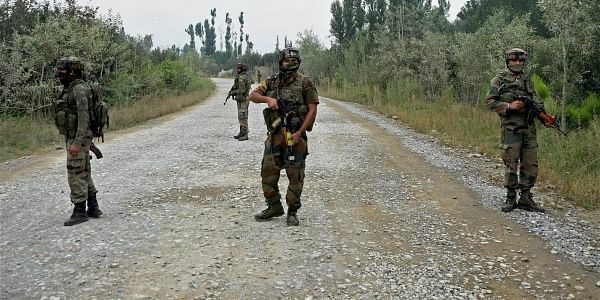 Security forces launched a cordon-and-search operation in Samboora village of Pampore area this evening following information about the presence of some militants there, officials said. As the security forces were conducting searches, the militants opened fire, they said, adding that a gunbattle ensued as the forces retaliated.